Fibromyalgia is a chronic health condition that affects the Musculoskeletal system throughout the body. It causes widespread pain, inflammation, discomfort, irritability, and in some cases, even depression. While it is unknown as to what actually causes the disorder, it is believed that its onset is triggered by a surgery or other physical trauma. Some medical professionals believe that fibromyalgia intensifies the pain impulses that are sent along the nerves to the brain. The way the brain processes those signals may also be a part of the problem. 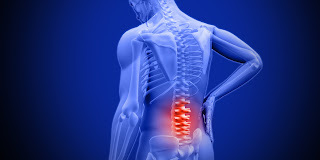 Fibromyalgia is characterized by a variety of symptoms and each case is unique requiring an individualized treatment plan. How can Diet Help Fibromyalgia Symptoms? Anti-inflammatory diets and making nutritional changes that support strong bones and muscles are just two ways dietary habits can influence the severity of fibromyalgia symptoms. Calcium rich foods and fish are extremely beneficial. Include a supplement that contains magnesium to help the body absorb the calcium it is receiving in the diet. Avoid additives and preservatives in the foods. Cooking from scratch will eliminate many of the additives that make foods so hard to digest. Eliminating caffeine can also help reduce the severity of fibromyalgia symptoms. Increasing the amount of fresh vegetables included in the diet will also help provide additional nutrients. Fibromyalgia responds to many different treatment methods. Acupuncture, trigger point injections, and adjuvant medications are just a few of the treatment options that are included in many pain management plans created for fibromyalgia patients. Because fibromyalgia is a chronic condition, the use of strong medications may pose problems in the future. 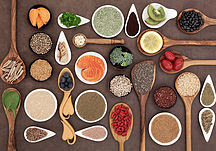 Choosing to treat the condition with an anti-inflammatory diet, an increase in both calcium and magnesium, acupuncture, massage therapy, and many other alternative treatment methods can help control the symptoms allowing patients to have a higher quality of life and sense of well-being. Neck pain, like headaches, is a common symptom that affects almost everyone at some point in their lifetime. The cause of neck pain can be simple or complex, acute or chronic. The good news is that in most cases, treatment and prevention is simple and effective. 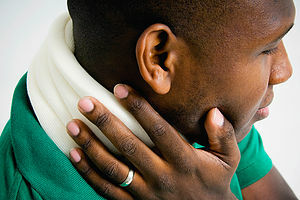 Neck pain can be anything from a sharp, gripping pain or a dull ache to a being unable to move your neck at all. The most common types of neck pain are aching or stiffness. This happens when the cervical spine becomes locked so that the movement of the spine stiffens like an old door hinge. The lack of movement within the spine causes the muscles around the neck and shoulders to tighten or in some cases weaken and it is this change that causes so much pain. If you’ve ever experienced sciatica and or with lower back pain then you will know it’s not as mild and in significant as most of us tend to believe. The truth is that one in 10 people suffer from either or both conditions globally. It’s even a bigger menace in the U.S. where an estimated eight out of 10 people ache from either or both conditions of pain. It’s the number one cause of high turn-over. Sciatica and lower back pains are also a major reason for opioids and other pain-killer addictions. This is because for a long time these drugs have been prescribed as the prime line of sciatica and lower back pain treatment. Depression is the other condition associated with sciatica and lower back pains. Patients with sciatica, lower back chronic pain, and depression are even at a greater risk of addiction. If you have been diagnosed with Type II Diabetes, then you know the toll that it takes on your body. The disease affects eyesight, organs like kidney, heart and lungs and damages nerve endings, which leads to increased stress levels and increased pain. When nerve endings are damaged, the ability to send signals throughout the body are decreased. The body is unable to feel pain and thus may not realize the severity of the pain on the body. This increased pain due to inflammation, can be relieved by regularly eating well, may be the anti-inflammatory diet but the importance of controlling blood sugar cannot be denied. While there are many Type II Diabetic people who are monitoring their health through exercise and medication via pills or insulin, there are studies which show that eating healthy foods that help to increase serotonin levels can lead to decreased stress levels and more pain free days. iACHE is a platform solution for the coordination of care in pain management and addiction disorders. These two conditions require long term and coordinated care that currently does not exist.